Hôtel des Deux Avenues i Paris, Frankrike : Boka nu! 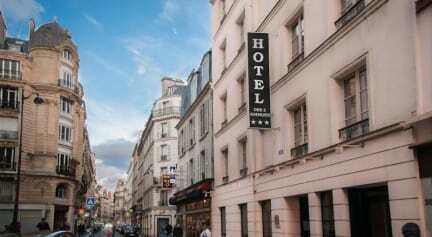 Thanks to this hotels geographical situation and its bucolic setting, will guarantee you an enjoyable and successful stay in Paris. This completely renovated hotel offers 38 rooms equipped with the latest comfort : bath or shower, WC, hairdryer, direct dial telephone, alarm clock, flat screen TV (satellite), and Wi-Fi. The hotel also has an elevator, a lounge, a lobby with television and a breakfast room. At the reception, you will find a fax/photocopying service, tourist informations and city maps. 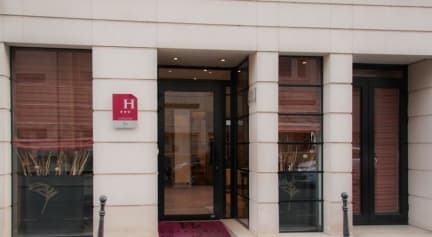 Whether you are in Paris on business or pleasure, you will find a friendly staff, competent and listening to you that will provide you help and advice throughout your stay.